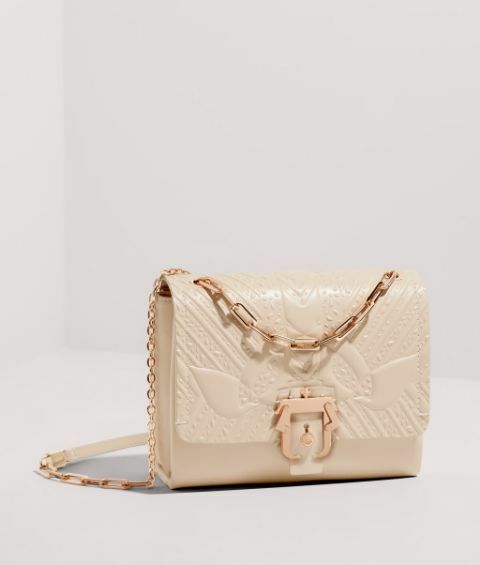 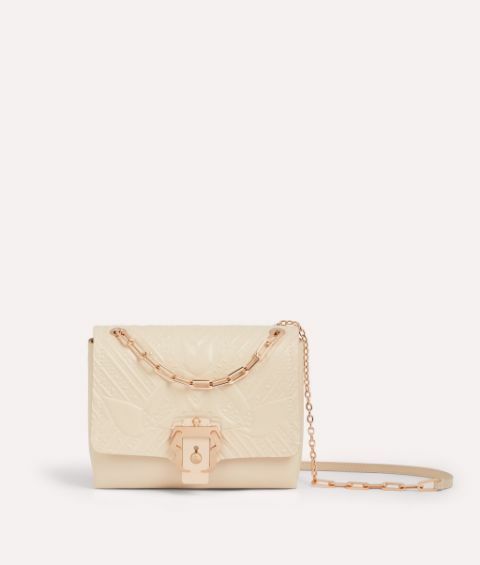 Clever Alice is crafted with an ingenious rose gold chain strap that can be styled at two different lengths so you can wear it at the shoulder or across the body. 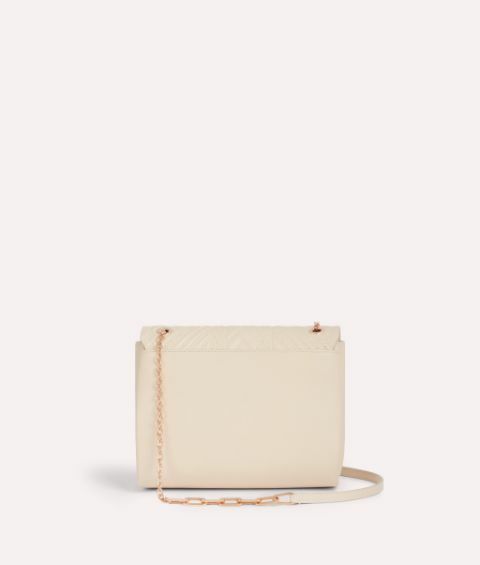 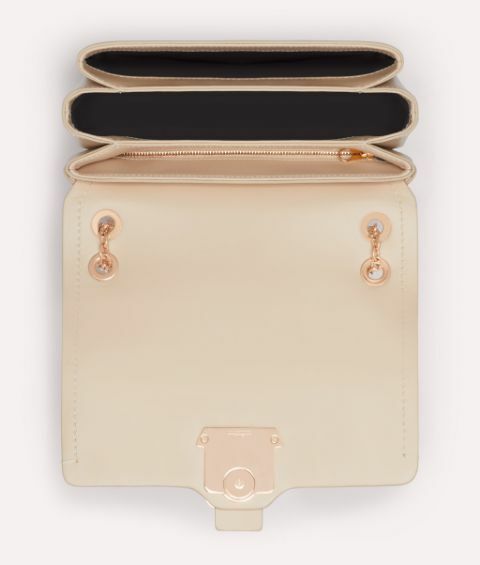 As well as being oh so practical, this multi-compartment piece emanates chic in shell leather that will never go out of style. 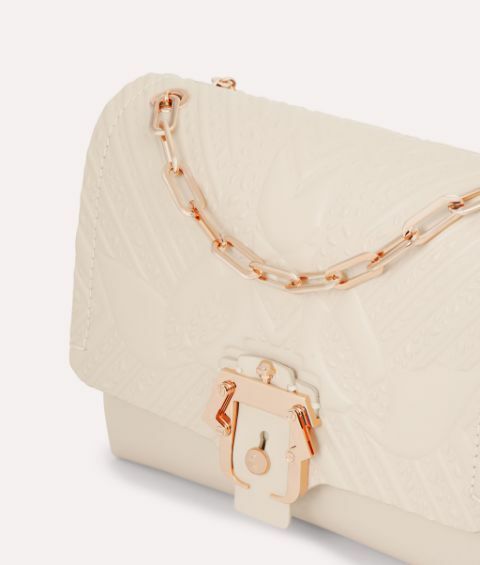 The embossed Petals pattern and signature Paula Cademartori buckle take this covetable design to the next level.